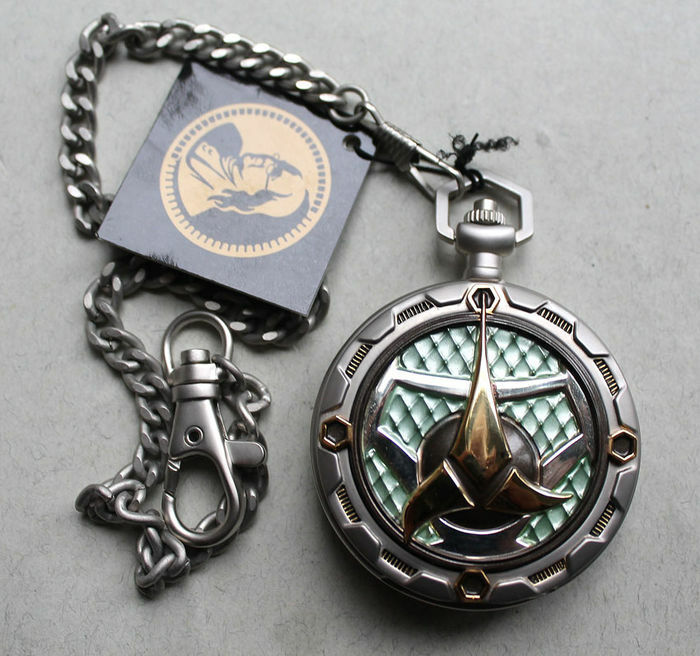 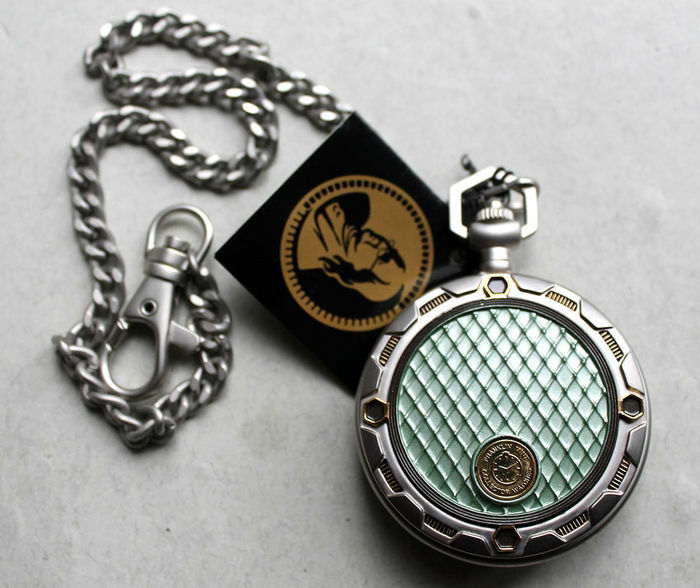 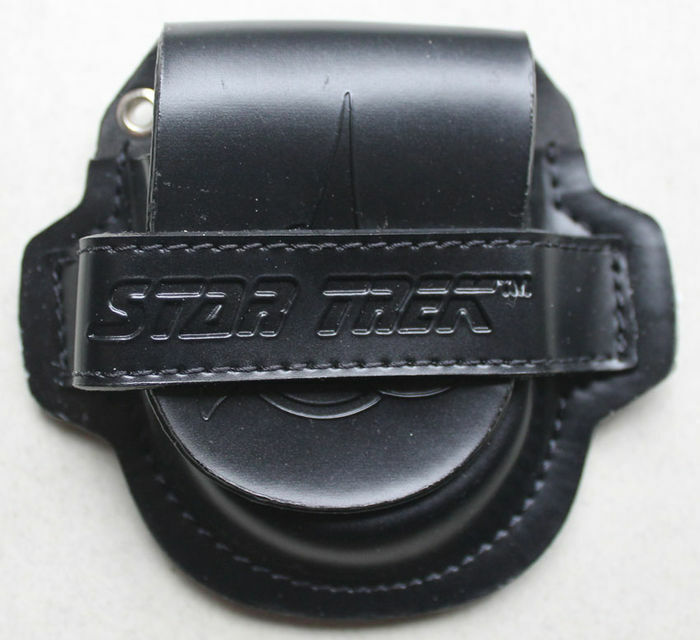 This is an official Star Trek pocket watch, authorized by Paramount Pictures. 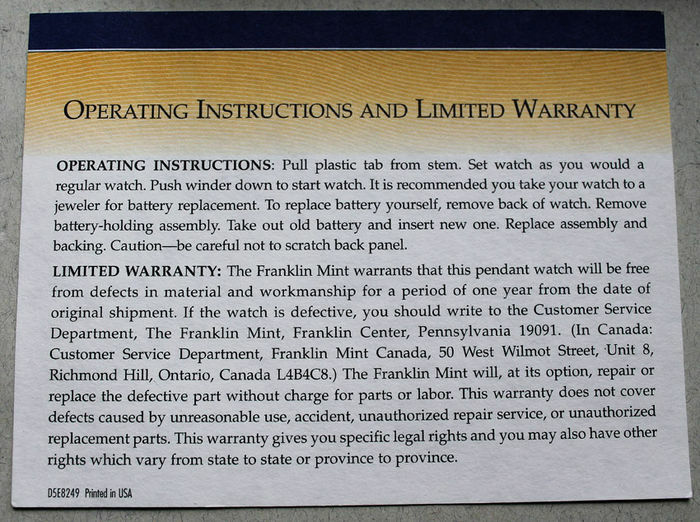 It was assembled by hand to the highest quality standards. 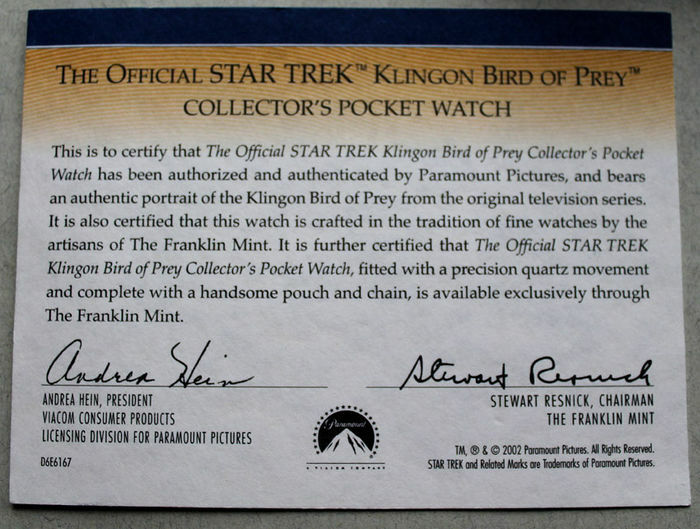 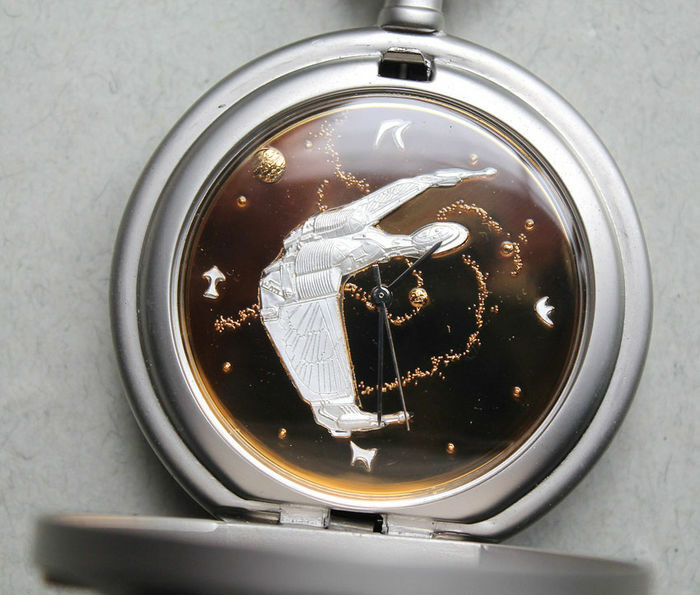 The dial shows the Klingon bird of prey, partly 22 K gold-plated. 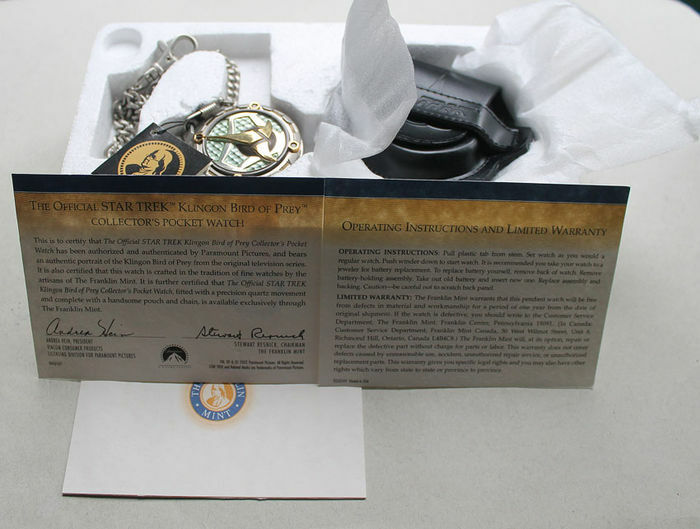 The plastic spring cover shows the well known Star Trek emblem on the exterior and a schematic representation of the spacecraft on the inside. 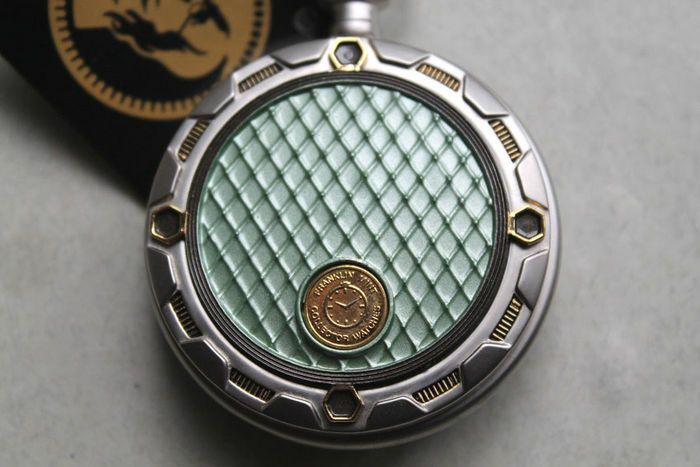 At the back is the Franklin Mint logo for collectors watches in a futuristic hexagonal lattice design. 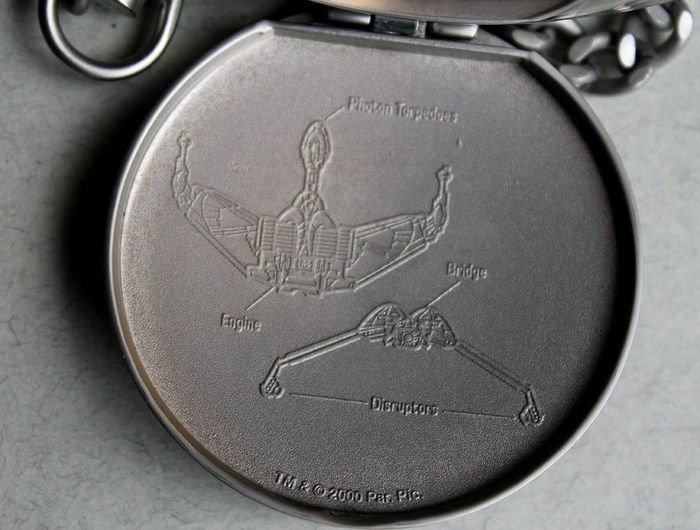 A high quality battery is newly installed. 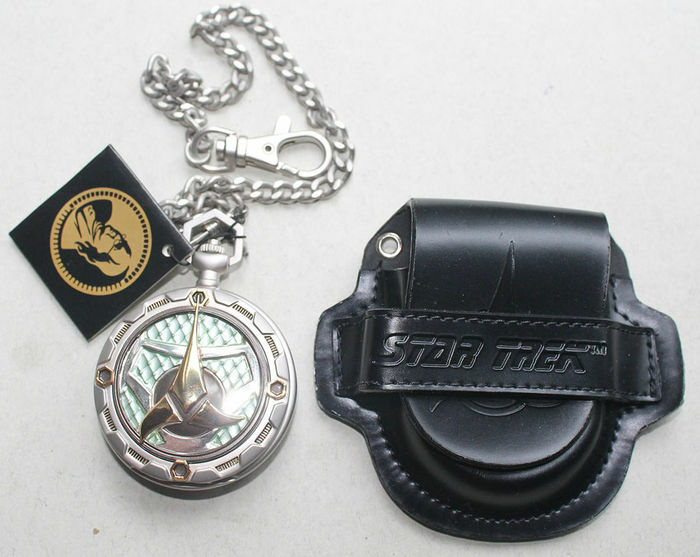 Included in delivery: Pocket watch with watch chain and belt pouch and certificate.